I ended up not running the 5K race as Liz was busy. Bummah. However, I was determined to go the distance. What distance? 10 miles. My longest run so far has been 8.3 miles, and since I've got the Seattle Half in 1.5 months, I thought I should step up my game. And I did it! I'm now in the double digit running club! Woot! 10 miles, total time of 1:31, at a 9:08 pace. Not too shabby. However, the dreaded mile 8 greeted me again...the stupid toe/foot pain that burns and radiates in my foot. I'm pretty pissed off. I even anticipated the foot pain and took an ibuprofen before the run, but it didn't work. So, I'm beginning to think that I'm not cut out for these longer distances, and quite frankly I feel like I'm failing as a runner. Yeah, dramatic, I know...but I really want to be able to run a marathon someday, or more half marathons after the Seattle Half. Today, the pain was excruciating and only subsided after I got in the car. At the last 1/4 mile I stepped on a small bump in the trail and my foot felt like fire and I bit my lip really hard after cursing like a sailor. Good grief. How awful. BUT, I did run the entire time, even up the stupid Hell Hill. Now, I don't like swearing in posts but @&*!(%*(@*(#&!!!!!! congrats on the double digits!!!! Yikes about the foot though, i always seem to be getting hurt, so i can totally relate, hope you heal up fast!! congrats on your 10-miler! sorry to hear about your foot though :-/ hopefully it was just a random thing, not to return? 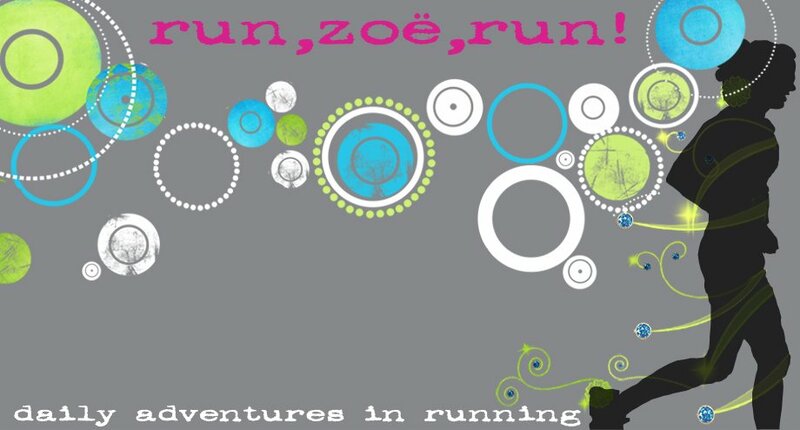 Zoe- Your first 10 miler...AWESOME!Stay healthy, and keep your sights set on 26.2. You CAN do it!